The very first thing that needs to happen is to un-rope the drum and see what lies beneath. The heads have obviously been causing a problem because on has been screwed to the shell. The job is now straight forward, but time consuming. 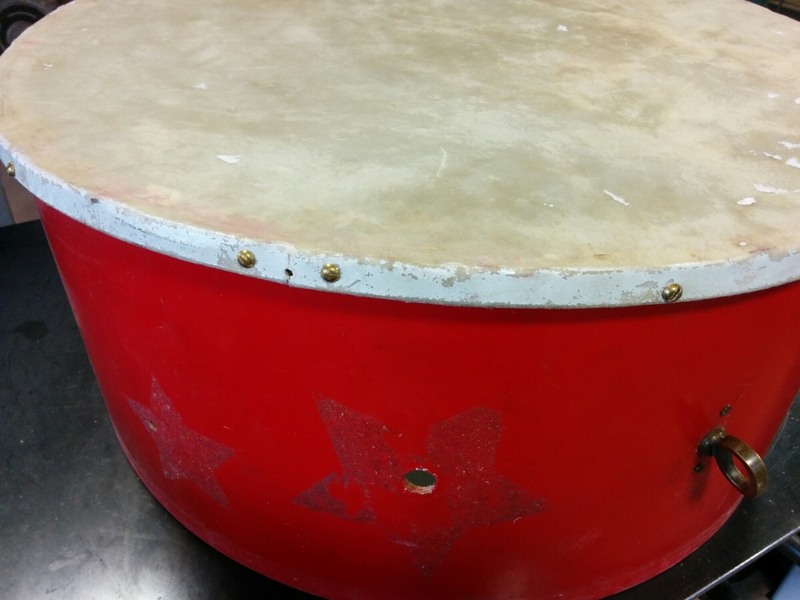 Whilst I am soaking a head until it is really wet and pliable, the drum shell can have the star marks removed – it looks like these were stickers, because it is the glue that has been left behind. 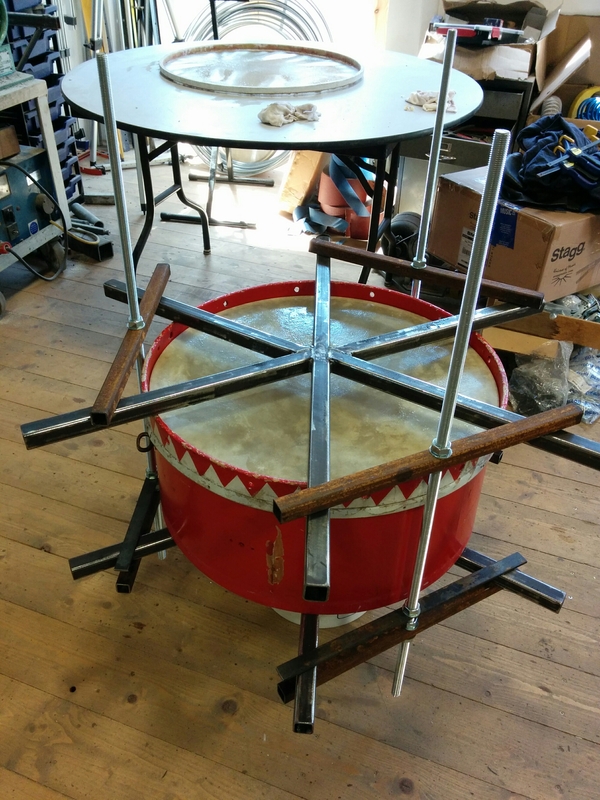 I also treat the bearing edge a process I have detailed in 1233: Vintage Bass Drum (pt 2). With everything ready I stretched the head onto the shell using my drum press. Because neither head had a collar I did one side first then the other. With the splicing and whipping on the rope redone, I rope the drum whilst it is still in the press to maintain tension. It also saves a lot of hard work pulling rope as hard as possible and the subsequent suffering with blisters!